As 2014 comes to a close, I like to think about all of the things that have happened over the course of a year in both my personal and professional life. In my professional life, I am excited to see another year in the record books. I did a lot of traveling this year seeing some of our wonderful wholesale customers. I went to NYC, Austin, Portland, OR, Seattle, San Francisco, Miami and a few smaller areas. It give me a rewarding feeling know that they were successful trips and it helped shape and grow. I'm also thankful to have enough going on that I needed to hire an assistant. As for the blog, I took over as the main moderator of this blog in the beginning of 2014. Already being busy, I knew I needed some help! So after some sew-alongs and challenges, we decided to look beyond our doors. So now with the help of a few sewing bloggers, we are able to share with you weekly sewing projects, tutorials and just great information! I've got to tell you, I admire many of you that can crank out the sewing projects weekly, but I've also come to realize that's not realistic for me either! So I take my time in each sewing project because it's not a realistic thought in my life. I love my sewing room. Enough said. This was fun because I didn't have to make any of the decisions! Reader's voted on which pattern and fabric I used to make my garment. We had 11 participants sew-along with me. They all had a chance to win a $50 gift certificate to Fabric Mart. 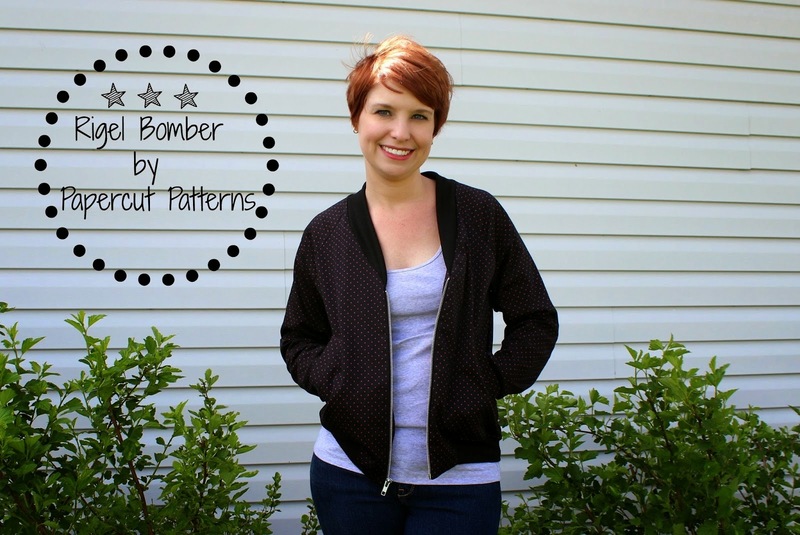 Shannon, the 2013 Fashion Challenge winner, sewed up Papercut Pattern's Rigel Bomber Jacket from a cotton sateen. Super cute and another fabulous lining! During the summer, I interviewed designers from independent pattern companies. I also picked one pattern from their line to make and review. I love getting to know about other people and how they got started in business. 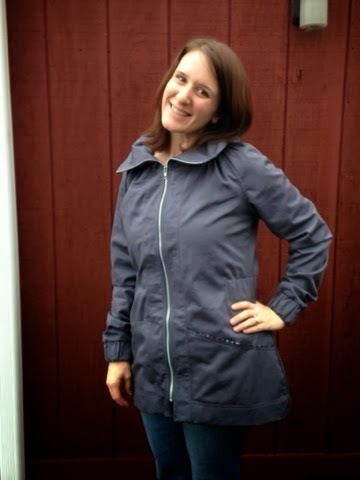 I interviewed Pamela from Pamela's Patterns, Dana from Dana Marie Designs, Laura from Sew Chic Patterns, Morgan from Thread Theory Designs, and Tasia from Sewaholic Patterns. I think this is my favorite thing to do every year! While I hate having to rate people, I love to see what people do when they are given a challenge. The winner of the 2014 challenge was Dina from My Superfluities! As I mentioned earlier, I'm so thankful for the bloggers that agreed to join our blog! It is really helpful when you don't have a lot of time to devote to sewing. My sewing opportunities vary throughout the year and seem to be less and less in the second half of the year! I can't pick my favorite post between all of them, but if you look in the November and December categories to the right, you can browse them yourself. And looking ahead at 2015, there are many things to look forward to in all aspects of my life. In regards to the blog, I have a new Fashion Challenge idea, sew-along and lots more reader participation opportunities in the planning stages. You probably won't hear from me until the new year, so Happy New Year! What a great little roundup! :) Thanks for hosting all your great contests, sewalongs, etc. I loved participating in them all! BTW, I love the Minoru on you, I actually bought that pattern from you all a while back, must get that on my list of makes! Thanks, I really enjoy doing it!! The Minoru is one of my favorites! Would love to see your Minoru if you put it on your list soon!